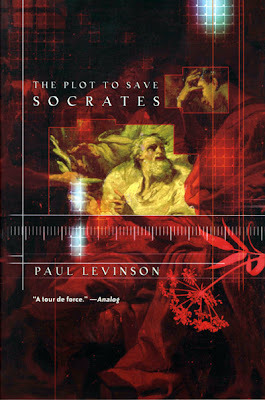 Author Paul Levinson left a short blahgthering on the review, and in response I mentioned that I'd been wanting to read his well-reviewed time travel tale, The Plot to Save Socrates, for some time. That time has come - and without even meaning to, I've used the word "time" three times - whoops, now four - before even mentioning that the book's plot device, which drives the plot of The Plot to Save Socrates, is, you guessed it, time travel. I love time travel stories. There's something compelling about the human desire to slip beyond our minute-by-minute existence and either correct an imperfect past or steal an advance glimpse of our tomorrows. Levinson treats us to both in The Plot to Save Socrates. In brief, an American grad student runs across a never-before-seen Socratic dialogue, a dialogue that seems to hint that Socrates was, just before his execution, visited by a time traveller. From that starting point, an appealling cast of characters from ancient Greece to the mid-21st century tries to solve the enigma of the dialogue. Who wrote it? To what purpose? And is it possible that Socrates can be saved? Like many time travel novels, the questions of paradox, predestination, fate and the urge to fight it loom large in Levinson's work. In fact, the philosophy of time travel has rarely been so thoroughly explored - Levinson can't resist having the father of philosophy himself weigh in on the debate, and Socrates' musings alone are worth the read. 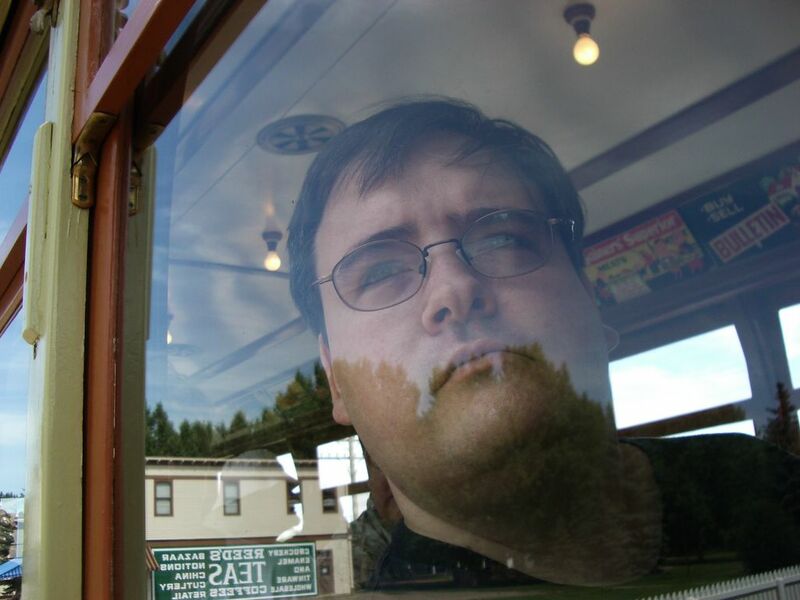 Levinson's prose is clear, concise, and a pleasure to read, something he has in common with Scalzi, McDevitt and Haldeman, the three authors I mentioned in the review Levinson commented on. And thank goodness, because the novel's plot is rather Byzantine, with characters hopping back and forth through time and shifting points of view in both time, space and identity. A solid prose style combined with excellent storytelling ability is a rare thing, and made The Plot to Save Socrates a real pleasure to read. On the whole, though, The Plot to Save Socrates is worth a read because it raises the philosophical and moral questions of time travel in a new and interesting way. Is it morally correct to attempt to change history - even "for the better?" Does free will really exist, or is it an illusion? Levinson asks some pointed questions about Socrates' legacy too, and if you're a casual student of philosophy like me, you'll find the discussion fascinating. Read "The Time Traveler's Wife" It deals with many of the issues/problems of time travel, but on a much more personal level. A very good book. I have indeed read and quite enjoyed _The Time Traveler's Wife_.